Burton Albion manager Gary Rowett has signed Dagenham & Redbridge left-back Damien McCrory on a two-year contract. The 22-year-old was not offered a new deal at the end of the season and moves to the Pirelli Stadium for free. 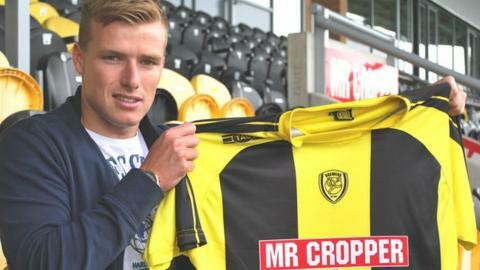 Rowett said: 'He's got good experience at our level and at the level up. He played 40 odd games for Dagenham in League One and played in their play-off final win as well. "He the type of player I'm looking for. He's young and hungry." "He can play in left midfield as well so it gives us that little bit of flexibility I'm looking for in certain areas," Rowett added. McCrory said: "Originally I was a left midfielder but I've been playing left-back for the last three years. I would say I'm attacking but I do like to defend. I quite fancy a free-kick around goal as well." Republic of Ireland Under-19 international McCrory joined the Daggers in January 2010 from Plymouth Argyle.